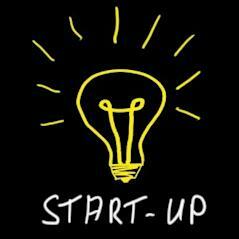 Recently, I’ve been getting asked questions directly and indirectly related to the marketing strategy for start-ups. Why can’t I attract business for my tech start-up? How can a start-up achieve its marketing strategy goals? What are the most effective ways for a small business to start marketing with little or no budget? Is the marketing strategy for a start-up different compared to a business that is no longer a start-up? What should a start-up do different with its marketing strategy? These issues are really symptoms of the same painful problem, which boils down to not clearly understanding what a marketing strategy is and how do you get one. Don’t worry … it’s a fairly common ailment. There’s a process you can work through that will help you achieve greater clarity of your start-up marketing strategy, which leads to great clarity in your business. This process might also help you come to understand how to turn your start-up into a success with only the necessary elements, because you’ll know exactly what attributes to take stock in before you start thinking about creating or realigning your business. Understanding the characteristics, desires and behaviors of a narrowly defined target market is very hard work, but indispensable to your start-up success. Every marketing book, class or expert will tell you this, but few can give you the magic tablet that allows you to go deeply in the psyche of your prospect. You can acquire some measure of knowledge from various research techniques, but nothing beats living, breathing, and feeling the same things your prospects do. I once heard Zig Ziglar say, “owners are closers.” You must own the product before you can sell anyone on it. I truly believe that the owner is the customer. Some of the surest successes in history have come from founders who created a product or service to meet a personal need and discovered a business by virtue of doing so. Some entrepreneurs dream of locking themselves in their lab for a year or so and emerging with the world’s greatest innovation. Sounds romantic I know, but if your innovation solves an incredible problem people don’t yet know they have, you may wind up burning through all the money before they get it. Better to innovate around a proven market, borrow genius from an unrelated industry, or discover an unmet need in a mature market crying for a solution. New products or services are like riders, they need a horse to go somewhere and interact with the outside world. So, if you have a terrific offering, but you can’t find a way to connect it to a medium to travel, nothing happens, there’s no activity, you end up with a static marketplace. Sometimes entrepreneurs shy away from competition. If market research shows that there’s too much competition in a given area or industry, the thinking is that the market is saturated and there’s probably no room for your start-up there. Wrong. While it may be true that your neighborhood couldn’t possibly stand another doughnut shop, I’ve found the success of several businesses in an industry, even in the same direct community, can spell opportunity. If people are already spending money on a product or service then two-thirds of your work is done. Use your competitors marketing and advertising to your advantage. They have educated the market so they understand and value the offering enough to whip out their wallets. All that’s left for you to do now is show them how much better you can make the experience. Few businesses really provide great service. In fact, stealing market share in mature markets is one of the easiest paths for smart start-ups to run.